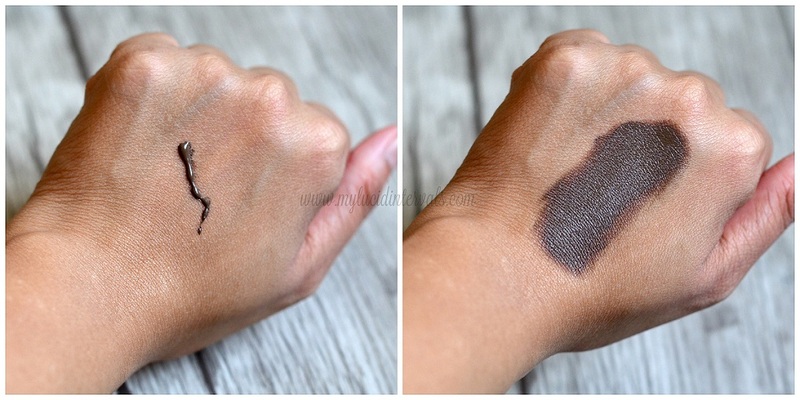 Many considers this NYX Eyebrow Gel as a dupe for MUFE Aqua Brow. I have personally not tried the latter (kasi mahalia) so I do not have the authority to compare the two products. I got the shade Brunette which a is a perfect medium ash brown. This shade does not have any red undertones and looks best on my black brown hair before and it still complements my new golden brown hair now. It comes in a squeeze tube with a pointed nozzle. It contains a good amount of product (10ml). This eyebrow gel is super duper pigmented. A little amount goes a long way. This brow gel has a dry mousse like consistency. 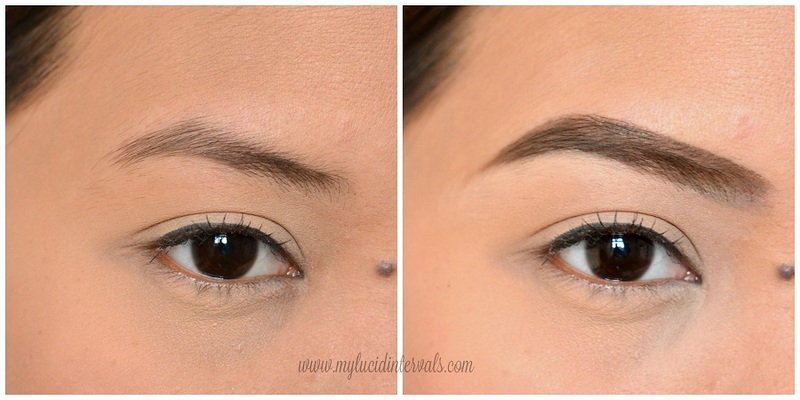 It immediately fills in the sparse areas of my brows. Due to its high pigmentation, I can easily create strong outlines. This brow gel does not budge and lasts the whole day. I find it to be waterproof and sweat proof as well. As much as I want to use this on my wedding due the aforementioned things, I really have a hard time applying this brow gel. I can't seem to get used to its consistency. The mousse consistency makes it very tricky to work it plus this dries FAST!! !I have to work with short and light strokes to perfect my brow shape. It takes up more of my prep time as compared to using a brown pencil where I can draw my brows even in a moving car (charot!!). This brow gel is not advisable for people who are always on the go or those who does not have too much time to spend on makeup. Also, this works better on neatly groomed brows. Over all, I am not really impressed with this product. I really wanted to like it but I will choose the Jazzy Collection Brow Gel over this one. Gusto ko rin makatry ng brow gel but I think I can't work well using this. Eyebrow pencil lang ang master ko na. Hehe.That's why my addiction on eyebrow products just stop on trying different browpens:) But still curious parin ako sa brow gel, check ko nga the jazzy. Anyways, maganda nman this nyx brow gel on your eyebrows. Ang linis nga and looks effortless naman, parang ang dali lang gamitin. How do you even apply this on your brows? Parang makalat. I think this is the best one that I've tried in terms of longevity, but like you said, it dries fast and not easy to apply when in a hurry. Though it's messy to apply...It looks natural on you!